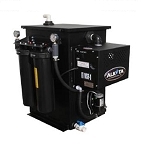 When it comes to protecting the environment, Detail King is at the forefront in offering equipment designed to keep waste water from reaching our oceans, lakes and streams. 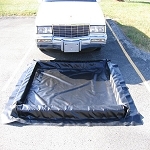 Our car wash mats, water-containment, water-reclamation and water-recovery systems will keep you firmly in the eco-friendly field when it comes to washing and detailing vehicles. 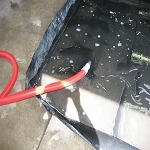 We even offer heavy grade mini vinyl car wash mats that are perfect for containing wash water run-off when cleaning engine compartments. 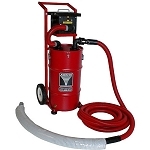 Today more than ever, it’s important that all mobile auto detailers and mobile car wash operators be up to date on local environmental laws as they pertain to water runoff and containment. 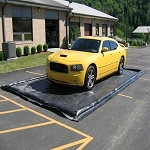 Detail King’s car wash mats (water-containment mats) are constructed of a tough polyethylene material used in the trucking industry for the transfer of hazardous liquids. 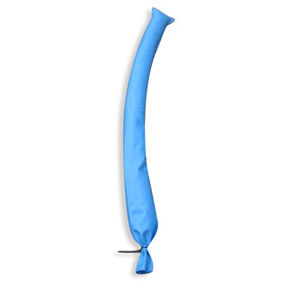 These mats are made of 40-mil, heavy-duty polyethylene material, and that’s quite an improvement over cheaper vinyl models that don’t hold up even under normal usage. 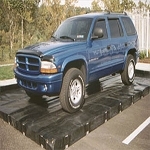 What we did was go directly to the leading manufacturer of containment mats for the trucking industry and asked them to design smaller durable units for the mobile auto detailer in mind. 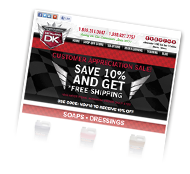 Displayed here are our most popular sizes — although we can certainly have a custom-size mat made to your specifications. 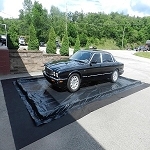 We recently began offering a heavy-grade vinyl car wash mat that is lighter-weight than our polyethylene models making it easier to fold and stow. 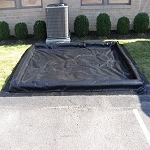 We also offer Vacu Berms that can be connected to a shop vac to reclaim wash water. 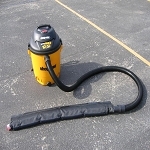 The Vacu Berm can be positioned on the asphalt in the direction the dirty wash water is flowing and be “vacuumed up.” Detail King even offers a water-reclamation system that comes standard with a powerful three-stage vacuum motor designed to reclaim water. 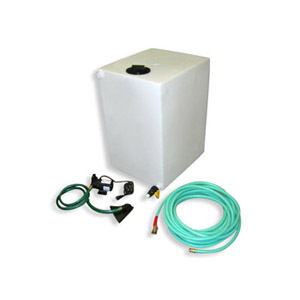 Be sure to check out our Big Dog Water Reclaim System. 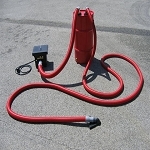 Be sure you are compliant when washing cars as a mobile operator. 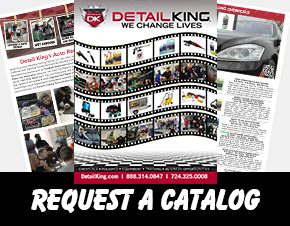 Check with your local government municipal office or the EPA regional office in your area to see what you need to do to be compliant when washing vehicles at businesses and residential neighborhoods.